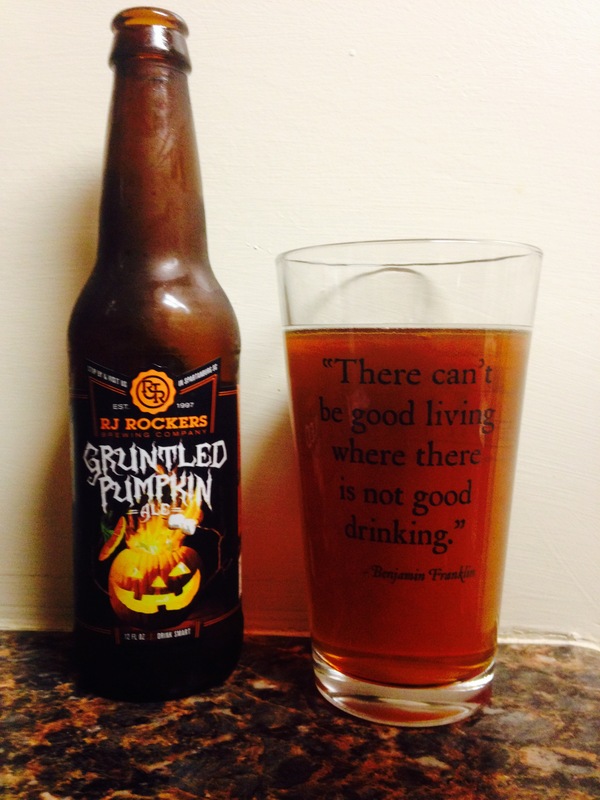 RJ Rockers out of Spartanburg, SC gives us “Gruntled Pumpkin Ale”. It has a great color and smell and there is a hint of pumpkin but this beer has a serious bite because of its 8.5% alc content! Woo wee! As soon as you take your first sip you know it’s a higher content, that’s what takes away from the pumpkin taste though! Good beer I give it a solid 3.5 stars! If you like the higher alc content like my wife Jennifer than this is up your alley!